Memory Lane Friday is a weekly blog carnival where you can blog about your memories and link up. All are welcome to jump in. This week has no theme. In my 20s I had a job as a college recruiter. I spent 3 months every fall traveling to various college fairs in Northern Virginia, Maryland and Delaware. 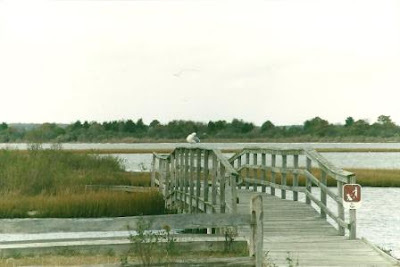 One of my favorite places each year was on the eastern shore of Maryland. I would always be there in November, when the tourists were long gone, and the days were gray and windy. 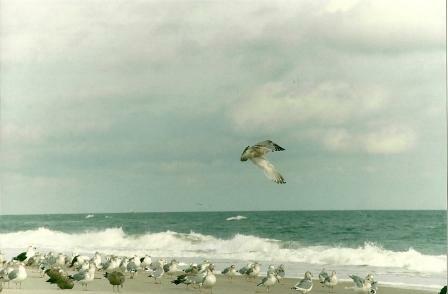 I'd stay in Ocean City, but I'd always venture down to Assateague Island in my spare time. 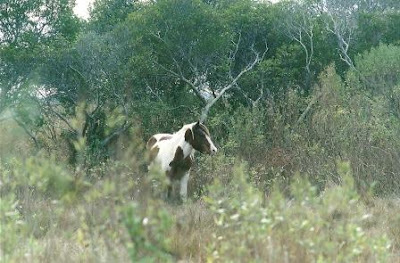 Assateague has wild ponies. They roam in the low shrub of the island. Assateague also has wonderful trails. Perfect for some island running. In November, I usually had the beaches all to myself. Well, except for the birds. Can you hear the waves? Smell the salt? Feel the wind? One day I found this guy washed up on shore. I just love the ocean. So good for the soul. Want to participate in Memory Lane Friday? Just add your website to the linkup below. Don't forget to go visit the other websites listed, and leave them a comment. Next week's topic is 2nd grade. Thank you for hosting! Love the themed link ups. 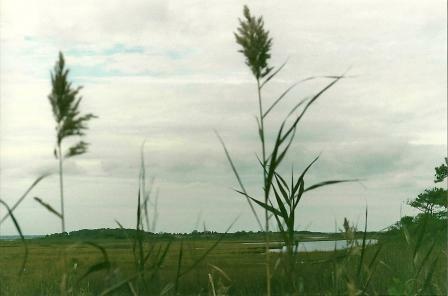 When I was a kid I loved the Misty of Chincoteaque books by Margaret Henry - Botho Chincoteague and Assa teague are on my list to visit, to see those wild ponies in such a beautiful setting as these islands. Lucky you! That first image is beautiful! what a cool setting! and i love that pony of course!! I went camping there when I was little. It sure was pretty. I love the photos. I can imagine how peaceful the island is after tourist season. Sounds like wild life abounds there. I've always wanted to go to Assateague! Maybe one of these days I'll take Livie. 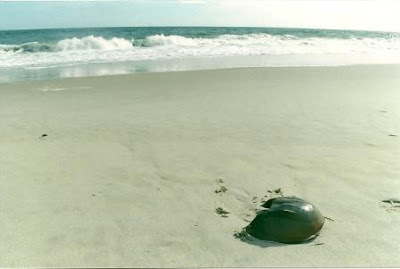 Andrew wants to take her to see one of those horseshoe crabs. You know, Andrew is from the DelMarVa area and really loves it there. I have to agree that it IS a beautiful part of the country. Looks like a fantastic place to spend time. I was a HUGE Misty of Chincoteague lover too. What a lovely, peaceful place! My family is headed to the Outer Banks in June--hopefully to see similar views. I could smell the salty tang of sea air as I perused today's lovely photos. Thank you so much for sharing them! I can't believe I lived in Maryland for 4 years and never made it down that way! We did do a light of sightseeing in DC though. Took a lot of short trips to Martinsburg, WV to get our West Virginia fix! lol Wish we had went to the Outer Banks now!